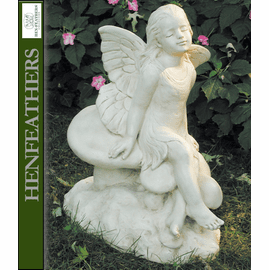 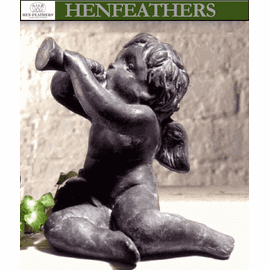 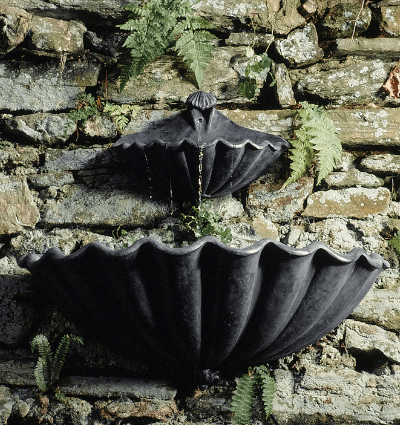 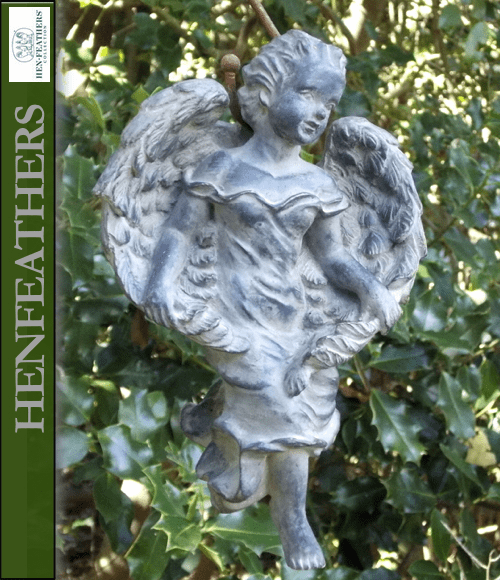 Angel on High, a delightful original HenFeathers sculpture for both indoors and outside. 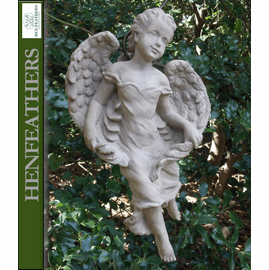 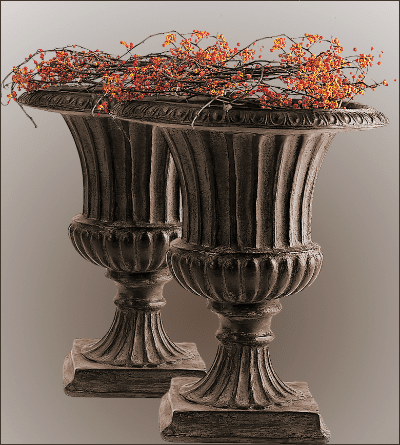 Can be hung from banisters, mantles, thresholds, decks, tree limbs, sturdy bushes, sheperd hooks, mailboxes,fences... Great for holiday decorating. 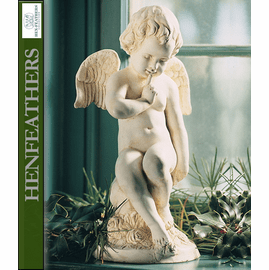 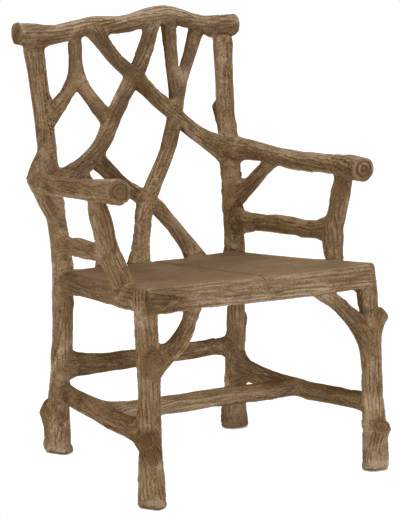 Decorate with sprigs of holly, evergreens or mistletoe and ribbon around the 6" metal S hanger included.